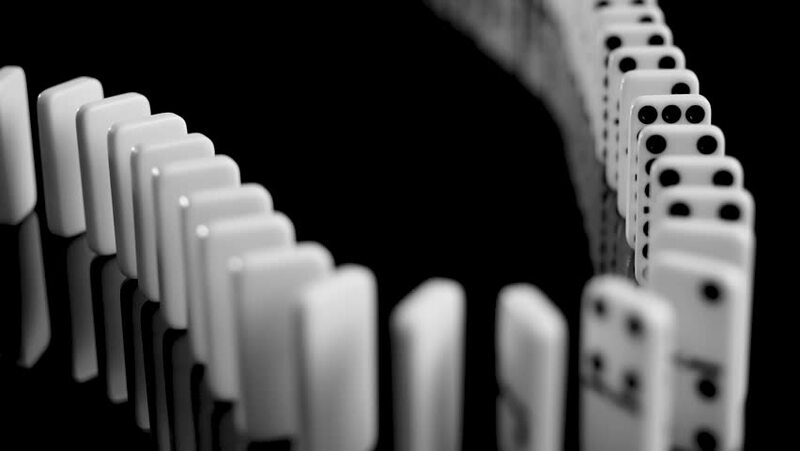 White dominoes forming a curve. The stones are falling in slow motion from left to right. hd00:09White dominoes standing in an s-curve. The stones are falling in slow motion from right to left. hd00:11Two rows of white dominoes falling in slow motion. The first row falls from left to right, then the second row falls from right to the left.